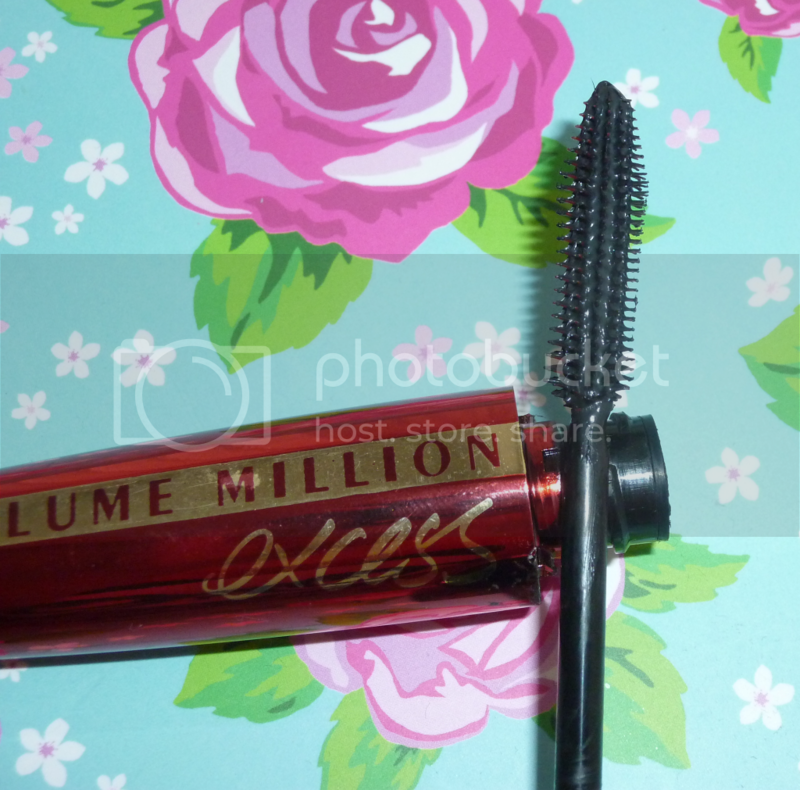 Earlier this month I told you about one of my Boots hauls which included the L'Oreal Volume Million Lashes Excess Mascara. Now that I've been using it for a few weeks I thought I'd let you know how I'm getting on with it. I was attracted to this mascara as I'd been thinking about buying Benefit They're Real due to the spiky plastic brush but this looked similar and at £10.99 as well as being included in the 3 for 2 deal I decided to go for this one. The brush has loads of bristles and is amazing at separating the lashes. This is important to me as I hate it when mascaras make your lashes all clumpy! I chose the black version of this mascara which darkens my lashes nicely and makes my natural lashes look a lot fuller. I never wear fake lashes as the thought of gluing my eyelashes together scares me so I like to use mascara to create more volume. 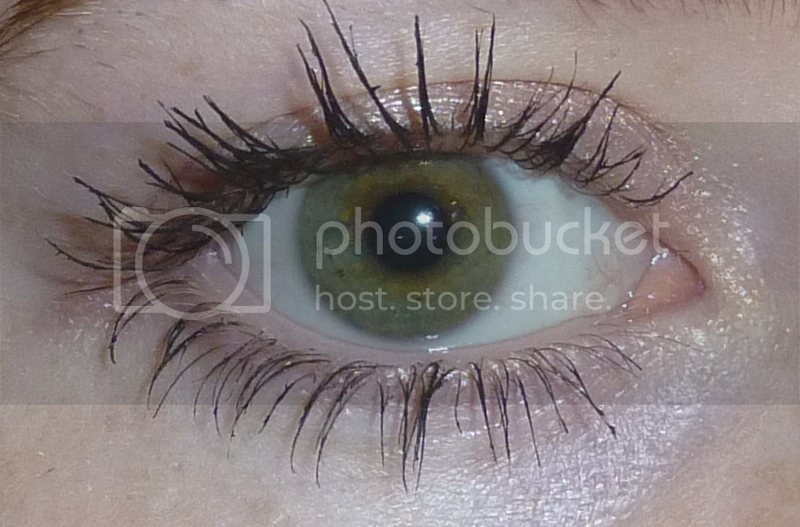 The mascara is also excellent at lengthening the lashes as I'm sure you can tell from looking at my photos! It has great staying power and doesn't rub off throughout the day so no panda eyes or mascara flakes for me! 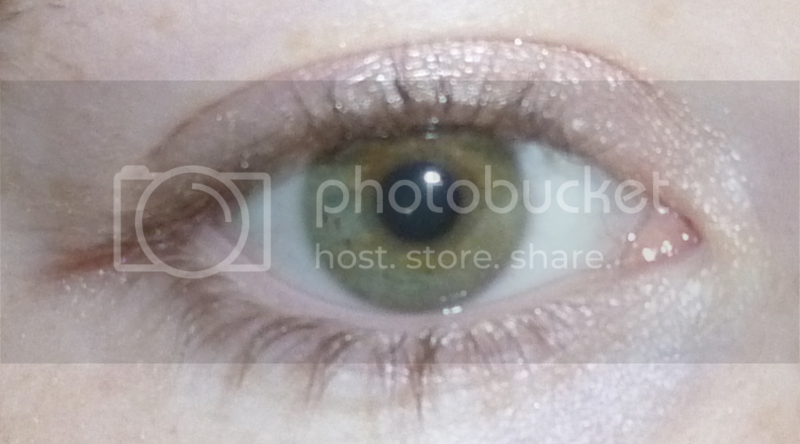 I also like when you put it on, it's not too wet so it doesn't take ages to dry or smudge all over your eyeshadow. I really like this mascara as I can wear less coats for a more subtle office friendly look or go wild for a glamourous night time look. I don't need multiple mascaras for different uses! At £10.99 it's cheaper than a high end mascara but it's on the pricey side for a drugstore mascara. I would say it's worth the price tag and I would fully recommend it. Have you tried this mascara? What is your favourite mascara? I've been itching to try this,as the normal Volume Million Lashes is my go-to mascara and my all-time favourite. This is actually the first review I've seen of the Express version, and it looks great! Wow your eyes are incredible! Such a pretty greeny colour! This mascara looks amazing actually! I've got to try some of L'oreal's mascaras, I've heard such great things. I wonder how it exactly compares to the Benefit equivalent? I'm always searching for my perfect mascara! I haven't yet tried this mascara, and I'm just about to run out of my current Maybelline Colossal Cat Eyes. So I might just give this a go. It looks really good! Thanks for the review.